​on Saturday, October 22, at the Baker field. It’s going to be awesome!!! 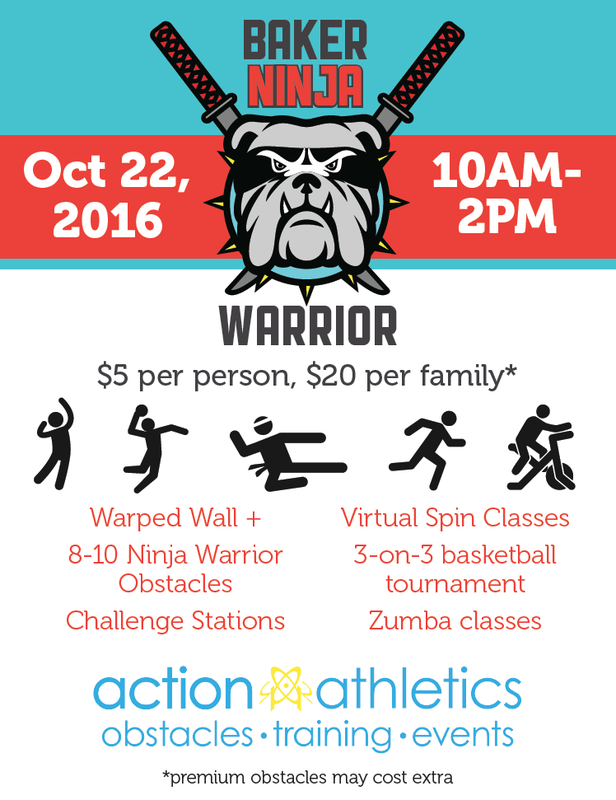 Great obstacles, food trucks, fun for all levels of athletic ability, including a 3-on-3 basketball tournament! Click here for details about the 3-on-3 basketball tournament! Sign up your team before the event! Invite your friends from other schools!